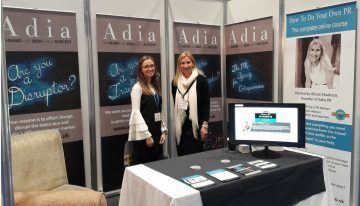 The Adia team exhibited at The Business Show at London's ExCel centre this week. It's always great to get out and meet new contacts and potential new clients. 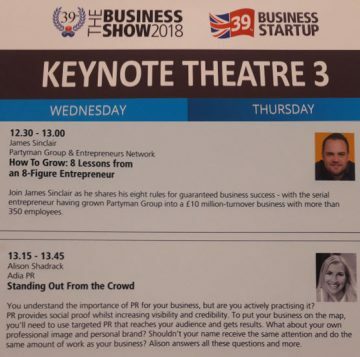 Alison was one of the Keynote Speakers at the show and presented a session on 'Standing Out From The Crowd' to a jam-packed audience. We also announced the How To Do Your Own PR online course that is starting in September 2018. This course is ideal for those who need help with promoting their business and raising their personal profile. Find out more here.